Not only did they hold that men and women have one virtue and that beyond and above the manly virtues there are human virtues which are valid for both men and women, but they considered matrimony to be much more than a community of the body, to be a community of the soul. The Stoic way of life is the expression that encompasses the Stoic’s attitude toward practical affairs. It really is “an anachronism,” writes Ludwig Edelstein in his book The Meaning of Stoicism. It was Pythagoras who first taught a “way of life.” The Stoics usually speak of an “art of life,” an ars vivendi, not in the sense of any inspirational action but in the sense of a settled disposition, which makes man act with the certainty of an accomplished craftsman, which teaches him how to do things in an unvarying order. From the very beginning Stoic teaching was interested in man in the context of his community. Perhaps it is true that classical ethics taught man how to shape himself, that is, to shape his being as an artist shapes a statue. The harmonious personality was the aim of Epicurus also. Yet one often gets the impression that these ancient moralists thought of man as if he were isolated from others. This is not so of the Stoic, for whom man is a social being and can perfect himself only within the community of man and not just the community of citizens either. The highest ideal of the Stoic way of life, therefore, was to live with others. While it was the dream of the Epicurean sage to live hidden from the world, it was the duty of the Stoic sage to understand that he could never consider himself a private individual. Social obligations take precedence over individual tasks, and individual ethics is ipso facto social ethics. Perhaps this is one of the reasons why Stoicism exercised such profound influence on Christianity. Generally speaking we owe much to Stoic ethics as they “imbued man’s actions with a new respect for human dignity.” For example, the Stoa first recognized the equality of husband and wife. They also believed that children were free to choose their own path and that slaves were people. At the time, these beliefs cut through the established Greek philosophical guard. Thus the first step is taken in acknowledging the dignity, the rights, and the humanity of the other person; and what is true of the husband’s attitude toward his wife is true also of his attitude toward his children. Their rights must be respected and especially their right to educate themselves and choose their own way of life. When Epictetus was confronted by a son who did not have his father’s permission to study philosophy, he was not afraid to defend the son against the father. The father’s rights and prerogatives are limited by the rights of the son, or rather the obligations of the one as well as of the other must be respected. So what of slaves then? This respect for the inalienable and indefeasible rights of the individual appears most clearly in the attitude prescribed with respect to the slave, the third member of the family in addition to parents and children. The slave, said Chrysippus, is a man hired for life. Slavery is nothing but subordination to the master; if it turns into possession of the slave by the master, it is lordship, and this is evil. As human beings, free men and slaves are equals. The Stoic defense of the workman, or laborer, is fascinating. The prevailing view at the time was that work was not disgraceful or dishonorable, it was a necessity. This necessity however gave you a free pass on virtue because you were, in effect, a servant of others. The Stoa changed this view and in the process created a precursor to professional ethics. Whether or not the preclassical centuries were free of contempt for manual labour, by the end of the classical era it had become something contemptible in democratic and oligarchical societies alike. Socrates’ defence of the workman on the ground that work brings neither disgrace nor dishonor is quite revolutionary, and so is the Pythagorean theory of work and workmanship. What is much more characteristic of the common attitude is Aristotle’s remark that the artisan is subject to limited servitude while the slave is subject to unlimited servitude. Between the two, then, there is only a difference of degree. Surely, in all early centuries there is no idealization of work as such. It is considered to be a dire necessity rather than an ennobling activity; and, most important, it precludes man from practicing moral virtue. Stoic philosophy attributed to work a value of its own, however. Work is a natural human occupation and does not exclude man from a virtuous life; it is compatible with the moral order and forms a part of it, for morality can be realized not merely in performing the duties of the citizen but also in any other human action. Aristotle had allowed that workmanship may be noble or ignoble depending on the degree of virtue that it requires as an accessory; but he had declined even to discuss the question in detail in his Politics because that would be ungentlemanlike. For the Stoa it was axiomatic that in whatever station man may find himself it is possible for him to live up to moral rules. … In terms of economic theory it means that the arts and crafts are no longer distinguished as less noble than the possession of wealth. Worker and capitalist are on the same level, so to speak. The relation between them becomes that of two rich men, equally independent, making use of their wealth, the wealth of the one being his skill or manual strength and the wealth of the other his money. There is also a change in the attitude toward the product of wealth and toward the worker. The classical age was concerned only with technical proficiency in the artist and with the product of his art or craft. Now the human qualities of that craftsman, his inner relation to his achievement and to his customer, his reliability, his wish to do right in the widest sense of the term, are made the main content of appreciation. This point is especially important. Aristotle can still put the aporia: will it not be necessary for artisans to have virtue, since they frequently fall short in their tasks owing to intemperance? But he decides that nothing can be done about this. While the owner of a slave is educated and becomes virtuous, the artisan who lives in limited slavery is outside the control of his employer; his virtue is personal concern. Through Stoic teaching, work is moralized, however. A sense of responsibility toward it is enjoined upon everybody. How one behaves in the performance of one’s work is no longer a matter of indifference. The more character must, so to speak, shine through one’s doings; Soberness and temperance must shine through every activity. Thus an ethos of work and workmanship arises, unknown before or known at most to the political theorist who can speak of the official as a servant of the state or of the law. Most important perhaps, the rehabilitation and the reshaping of men’s attitude toward manual work eventually leads to a more general theory of calling or vocation. The classical age knew nothing of what can be properly called professional ethics. That is, it was not understood that each profession imposes specific duties. For example, the physician must help his patient, be he free or slave, friend or enemy, and on no condition is he permitted to do any harm. The judge is not allowed to show favor to anybody, not even to the friend who may appear before him; impartiality is his specific virtue. These duties are imposed upon the member of the profession by the role he plays in life. Forget Thomas Piketty’s Capital in the Twenty-First Century, how about capital in the 4th century BC. In the Stoic’s opinion, business too has an ethics of its own. To make as much money as one needs is fair but to steal from another what is his is against the human law, said Chrysippus (one of the main Stoics). Generally speaking, the thesis of the Stoics was that he who has money does not have it for himself, does not possess it or own it anymore than he owns his wife or his children or anything else. You have money for the benefit of your children, of your relations, of your friends, or the state, say Seneca. The rich man, to put it succinctly, is but the trustee of his wealth. Such a position was maintained by the Stoics without in any way casting doubt on the right of private property. Private property is a natural good; it is guaranteed by justice, which gives to everybody his own. The world is a theater with different seats, and one must not complain if one does not sit in the front row nor claim that one has a right to do so. Rights differ as men differ. The Stoa, therefore, opposed socialism and communism as they were preached in Hellenistic utopias, but it does not condone a theory of the laissez faire, to which Aristotle had already objected. The Stoics were not exactly for the invisible hand either. Their approach, built on the foundation of community, is worth visiting, and learning from. We can add The Meaning of Stoicism to our growing collection of Stoic wisdom. Born as a slave in a wealthy household nearly 2,000 years ago in Hierapolis, Epictetus caught a lucky break when his “owner” Epaphroditus, let him study liberal arts. Through the Stoic philosopher Musonius Rufus, Epictetus discovered philosophy. After obtaining his freedom, he went on to teach philosophy in Rome for over two decades until Domitian banished philosophers in Rome. Like Socrates, Epictetus never wrote anything down so it’s largely through his student Arrian that we know anything about his thinking. 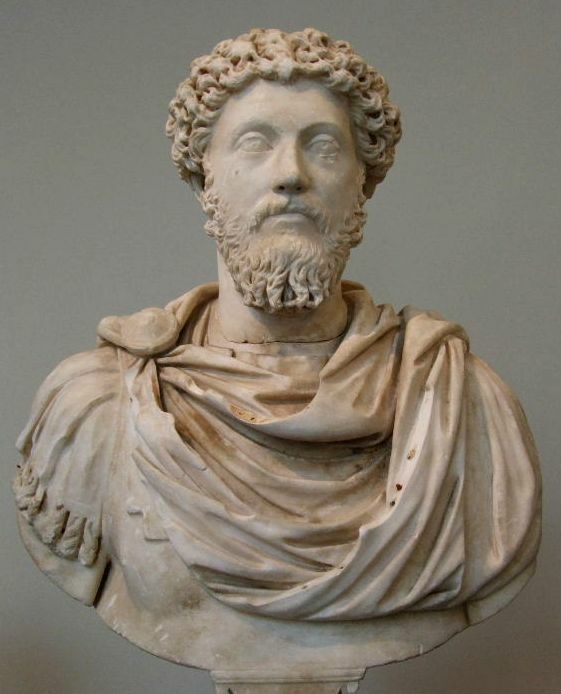 Epictetus left a lasting impression on many including Emperors, war heroes, and philosophers including Marcus Aurelius. Even today his work features prominently in novels like Tom Wolfe’s A Man in Full. I wanted to share with you some wisdom from Sharon Lebell’s contemporary interpretation of Epictetus’ The Art of Living: The Classical Manual on Virtue, Happiness, and Effectiveness. Those who are dedicated to a life of wisdom understand that the impulse to blame something or someone is foolishness, that there is nothing to be gained in blaming, whether it be others or oneself. Events happen as they do. People behave as they are. Embrace what you actually get. It is not things that disturb us, but our interpretation of their significance. … Remember to discriminate between events themselves and your interpretations of them. We are ultimately controlled by that which bestows what we seek or removes what we don’t want. If it’s freedom you seek, then wish nothing and shun nothing that depends on others, or you will always be a helpless slave. … Most people tend to delude themselves into thinking that freedom comes from doing what feels good or what fosters comfort and ease. The truth is that people who subordinate reason to their feelings of the moment are actually slaves of their desires and aversions. If someone were to casually give your body away to any old passerby, you would naturally be furious. Why then do you feel no shame in giving your precious mind over to any person who might wish to influence you. When we blather about trivial things, we ourselves become trivial, for our attention gets taken up with trivialities. You become what you give attention to. The wise do not confuse information or data, however prodigious or cleverly deployed, with comprehensive knowledge or transcendent wisdom. Take care not to casually discuss matters that are of great importance to you with people who are not important to you. … Most people only know how to respond to an idea by pouncing on its shortfalls rather than identifying its potential merits. Practice self-containment so that your enthusiasm won’t be frittered away.